Running a business takes will power. Decide what you need then go after if full blast!. Determine whether you are going to be doing business as an individual proprietorship, partnership or corporation. 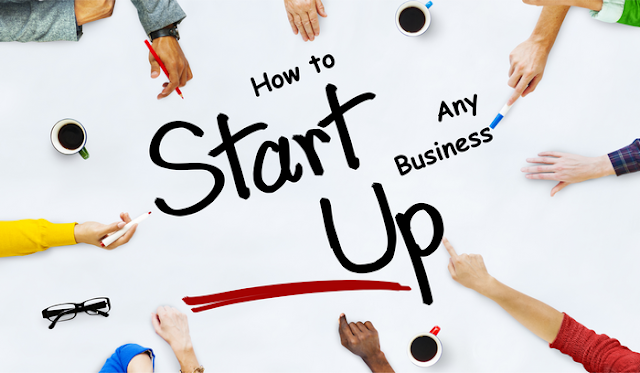 The individual proprietorship is the form of entity used by most small businesses at start up. If you need additional capital or expertise a partnership may be the best entity. You can always incorporate later if practical. The expense to incorporate a small business is nominal but since the latest income tax changes unless incorporating will make you more money or better protect your investment there is not much benefit in forming a corporation. Even though there is limited liability as to your personal assets with a corporate entity when obtaining outside financing, or in the event funds are misused, you can still be personally liable. You can also gain most of the same advantages by setting up a limited liability company. The strict laws, higher State Income taxes in some states, the legal work involved and the heavier accounting and tax reporting requirements are some of the disadvantages of running your business as a corporation. Also, if you decide later to close out your corporation, the paper work involved, especially to conform to the provisions of the Internal Revenue Code, is difficult and often runs into more problems than the initial incorporation. Of course when interest rates are high incorporating may be the only practical method to get sufficient capital to start-up and run your operation. However when you go public with your stock you are looking at a whole new ball game. Federal regulations, State requirements, etc., will make it imperative to hire a good corporate attorney and in most instances you will need an investment company to sell the stock. The costs involved to go public are enormous and sometimes cost up to one-third of the proceeds from the sell of stock leaving the working capital and fixed assets in peril. To make the public better aware of just what your firm offers it is generally good practice to choose a business name that describes your product or service. Apply for a fictitious business name with your state or county offices when you plan on going into business under a name other than your own. Also, the bank will require a certificate or resolution pertaining to your fictitious name at the time you apply for a bank account. Your county clerk can tell you where to apply for the name. The location of your business will of course vary depending on the kind of business or service. Retail businesses should be located in an area with adequate parking space and heavy foot traffic. If you locate in a shopping center be certain you understand the terms of the lease. Is it a Net-Net lease requiring the tenants to pay all center expenses including utilities, signs, lighting, taxes, insurance, garbage, maintenance, etc., in addition to all the usual store expenses? If you're going into an "office" business, or an unproven venture get a month to month rental agreement. In the event your venture is unsuccessful you will not be stuck with future rent as you would if you were under a long term lease. The landlord is in control. You must get his approval in the event you want to sub-lease to another and even if he agrees you are still secondarily liable for the term of the lease. Think positive about your new venture but don't expect to make a great deal of money with little or no investment. Lack of capital has been the downfall of many otherwise good business start-ups. You may have limited take home pay for the first few months as you plow your profits back into the business to make it grow. You will need a substantial cash reserve or other source of income, during the "build-up" phase, to take care of your personal expenses. Lack of training and experience is another great destroyer of dreams. Be sure you have the know how and are capable of running the business your propose. Get into something you already know or can learn without getting hurt in the process. A few of the other things leading to quick failure are: lack of over-all business planning, inept managers or employees, incomplete accounting records, improper financial reports, lack of control over assets, bad credit policy and inability of the owner to reach or act on decisions. Get to know the manager of your bank. He will be one of your best references. Ask his advice and get his help on financial matters. The more he advises you the better he will come to know you. Develop a line of credit so it will be there when you need it. The banks can't exist without making loans so don't hesitate to apply. When you handle high cost items your bank may be able to work up installment contracts for your customers. Get set up with Mastercard, Visa, etc. It will cost you from 3% to 5% but you must have this service available for your customers if you want to stay in business. To establish your bank account you will need a Federal ID number or social security number along with your certificate of assumed (fictitious) business name. If you are incorporated the bank will want a copy of the minutes and a corporate resolution authorizing the account. One of the first things to do when starting your new business is to get Federal and State application forms for ID numbers. Request "Business Start Up" application forms from the Internal Revenue Service and from the State Tax Commission. After your applications are sent in you will be notified of your number and get a packet of information. Depository forms, quarterly report forms, W-4-A's, W-2's, estimated tax forms, etc., will then be mailed periodically as needed. If you are a sole proprietorship business or are a partner you will have to file and pay Federal estimated tax reports each quarter based on estimated annual income. (Some states also require periodic estimates through the year.) Partnerships file an annual information return and each partners share of profits is included in their individual personal income tax return. Corporation must also file for estimated taxes. Throughout the year it takes hundreds of hours of your time to prepare and file the various payroll reports and other governmental forms required. This is no reason for you to sacrifice 24 hours a day trying to keep up with your business all by yourself without adequate help. When you have expanded to the pint you can afford good employees and/or managers, don't hesitate, hire them. Properly trained and advised they will make more money for you than you can ever make going it alone in most ventures. Advertise in the classified section, take applications, set up interviews and hire the best. When you first start thinking about establishing your own business find out when the next issue of the telephone book will be printed and the deadline for getting listed. Place a reasonable display ad in the yellow pages under the classification which best describes your product or service. It could be a catastrophe if you missed the deadline for the next issue by a few days and have to wait 9 months to a year for a listing in the permanent directory. Advance deposits are usually required when you sign up for Power, Gas, Water and Sewer. their Advertising and products nationwide need only collect taxes for sales made to persons within the state. Persons entering into certain kinds of business will have to obtain an occupational license through the State or local licensing agencies. These include Real Estate Personnel, those in the medical profession, barbers, beauty operators, electricians, plumbers, contractors, insurance agents, engineers and many others. Passing a written examination is generally required before a license is issued. Federal regulations control many kinds of interstate activities with license and permit requirements. These include such businesses as common carriers, certain food processors, TV stations, radio, drug manufacturers and many others. Any organization which shops, sells, or advertises in more than one state is subject to Federal Trade Commission (FTC) regulations. This includes mail order operations although no license is required in most cases. Any firm distributing food products, including restaurants, is subject to permits and periodic inspections. Other permits required for certain businesses include inspection and permit for occupying a new building that caters to the public, fire permits, pollution control permits, and those which regulate the size, shape, style and placement of signs, etc. If you are in doubt about which permits and licenses pertain to your chosen business it may pay to first set down with the proprietor of a similar business in a different area or town and get full information from them. Don't forget about insurance. The premiums are expensive, especially business liability, but you cannot operate with peace of mind without full coverage. Check with a good agent regarding Fire, Liability, Workmen's Compensation, Business Interruption, Burglary, Glass, Extended Coverage, Vehicles, etc. Have two or three agents submit estimates. There is probably no reason you cannot do your own record keeping, at least in getting started. Just use a separate check book and bank account for your business. Use a columnar check register with several "headed up" columns and distribute the amount of each check written to the proper columns. List your deposits on the check register and carry across a continuous bank balance. If you don't have a cash register to start with you can write up sales on duplicate sales slips, but a cash register is highly recommended. You will be able to ring up sales to different departments and by different clerks. It will pay for itself many times over in just a short time. Record receipts from the "totaled out" cash register tape at the end of each day to daily or weekly sheets. With just the above two records of original entry plus a "General Journal" to record any extraneous transactions, and a "General Ledger" to which accounts from the three records are posted at the end of each month, you have all that is necessary for a simple "cash" accounting system. This "cash" system can be easily converted to the accrual method of accounting by simply journalizing accounts receivable, payable, accruals, prepaid insurance, etc. After posting these entries the Balance Sheet and Income statement can be readily completed. With these individual payroll records and the control accounts in the General Ledger you have all the information necessary to complete the various payroll tax reports and returns as they come due. At the end of each annual accounting period all the information for filing your Income Tax returns will be right at your fingertips. If you know nothing about bookkeeping have an accountant set up your books on the basis of the above simple method. Let him "keep the books" the first few months while you learn how then, if you prefer, take them over yourself. Use your accountant as your advisor. After a short time you probably will be able to do all the accounting without outside help. Every business is different and will not be using the same kind of fixtures and equipment. Sometimes it is much better to preserve cash for inventories or working capital and purchase good used fixtures and equipment at a much lesser price. With the recent changes in the income tax laws you will have to do extra analysis to determine whether a lease program or direct purchase is the best way to proceed. Whether to buy or lease depends on many facts which can only be determined by observation and computation. It could be better to lease electronic equipment, computers, copiers and certain other products due to the rapid advances continuously taking place in these fields. Suppliers are reluctant to ship their goods to new businesses. That is one reason you should get to know your banker as he can offer credit references acceptable to most any firm. You will have to convince your proposed suppliers that you are honest and hard working and that your business has a good chance for success. You may have to pay C.O.D. while getting started so take this fact into account when preparing your financial planning and start-up requirements. After you have become established with your suppliers send your financial data to Dun And Bradstreet so your company will be listed in their files. Most every firm in the country recognizes Dun and Bradstreet as a most reliable organization for obtaining correct credit information. Work with your suppliers to take advantage of special offers, cooperative advertising programs, trade and cash discounts, dated invoices, etc. When you are getting started give a press release to the local newspaper. Depending on the type of business, it may be very profitable to have a few thousand circulars printed and distributed throughout the area. Or you can have grand opening circulars inserted in the newspaper to be distributed to subscribers. Watch the ads of your competitors. As you find time clip various ads of businesses similar to your own, from large city papers. File them for ideas when preparing your own ads. There are all kinds of promotional ideas and gimmicks to keep your business out in front of your competitor. Search the library, book stores and mail order media for such publications. Choose the ones which fit your promotional programs or those that can be "twisted" to fit and get them working for you.